Q. Can I find a journal article with the DOI? 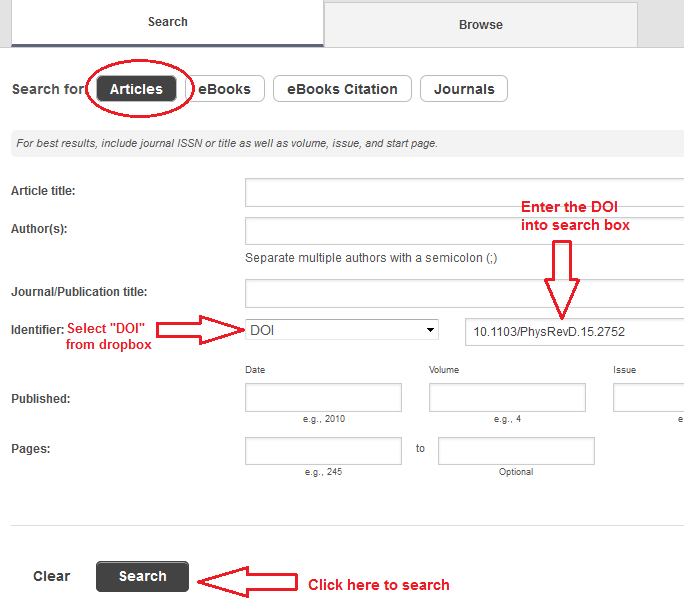 Yes, you can use the DOI to find a journal article. 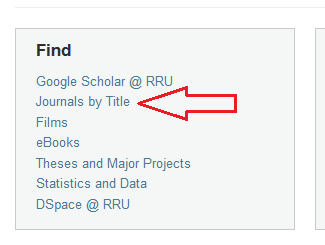 From the RRU library homepage http://library.royalroads.ca, select Journals by Title under the 'Find' section. On the following page, select the 'Articles' tab. Next to Identifier, choose "DOI" from the drop down box, enter the DOI information into the search box, and then click on "Search" at the bottom.